Demonstrating proven engineering expertise and years of manufacturing experience, the Travall Commercial Van Step provides a safe platform for loading and unloading, plus easier access for vehicles fitted with a roof rack. It's the first in a line of high-quality commercial van accessories from the world's leading producer of custom-made cargo barriers and dividers. The Rear Step itself has been created from aircraft-grade aluminium, giving it an excellent strength-to-weight ratio. It has been finished with a tough anodised coating and, with safety in mind, it has a textured, non-slip surface and a highly visible reflective strip along its entire length. 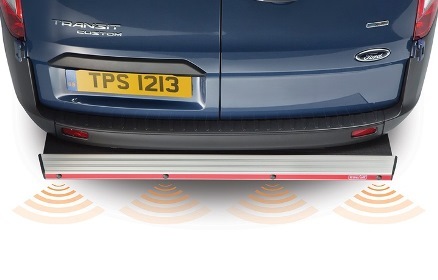 Although not equipped with a parking sensor, this lightweight Rear Step has been pre-drilled to accept one, and also comes complete with an internal wiring loom channel for more efficient installation. 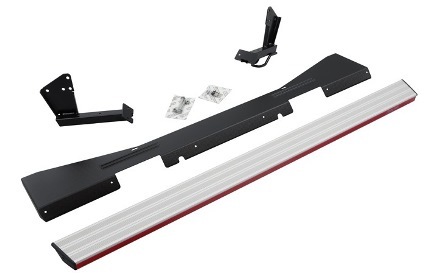 Our Commercial Rear Van Step can be easily attached with only basic tools, using two high-strength steel mounting brackets. Like the majority of Travall products, our Rear Steps are custom-made for specific makes and models. This means the mounting brackets fit simply into existing chassis holes, with no need for drilling or hole tapping. They also incorporate a handy towing eye and have been electroplated and powder-coated for outstanding resistance to corrosion, including the deterioration often caused by caustic salt spray. 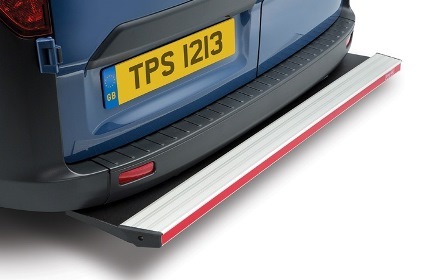 The Travall Rear Commercial Van Step is produced in the UK using the best available materials and the exact specifications of all the most popular commercial vehicles from leading motor manufacturers, including Ford, Citroën, Renault, Fiat, Volkswagen and Mercedes-Benz. All have a 12 month manufacturer’s warranty and come with comprehensive, simple-to-follow fitting instructions.